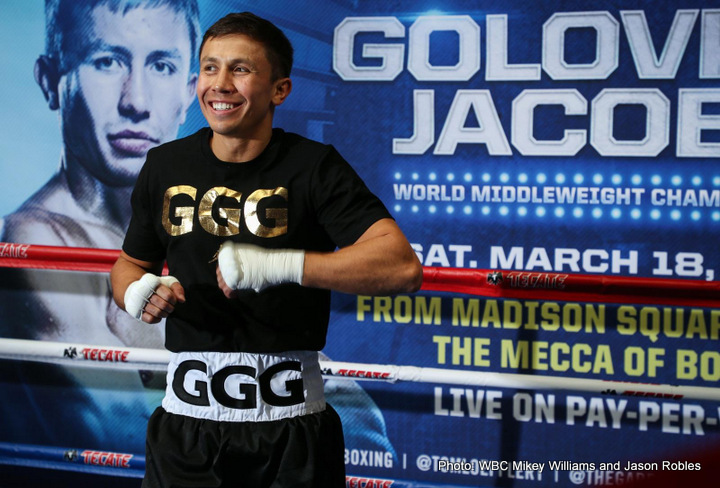 Though Tom Loeffler, promoter of middleweight king Gennady Golovkin, feels his fighter has what it takes to carry on fighting until the age of 40, he also says there is no chance 40 year old Floyd Mayweather will ever agree to face him, even at 154 pounds. But fight fans, Mayweather fans especially, continue to debate over what would have happened had the two met at 154, say a year or so ago. Would GGG, who had trouble pining down and nailing Canelo Alvarez last Saturday (okay, GGG may be just a little past his best right about now; whereas he was a total beast just over a year ago) have been able to hit Mayweather cleanly? Would Mayweather have been overpowered and outmuscled by the naturally bigger man? To this day, despite Mayweather being retired and Golovkin appearing to be reaching the end, fans still love to debate this modern day Dream Fight. It will never happen. Instead, and countering any talk that GGG is nearing the end, Loeffler argues how his fighter can go on for another five years should he want to do so; and that what Triple-G needs now are the right fights motivation-wise. “We’ve been trying to fight Billy Joe Saunders for a while. A legend like [Miguel] Cotto is a shoo-in for The Hall of Fame. This is the type of fight that would motivate Gennady,” Loeffler said. And another trip to the UK has not been ruled out, Loeffler said. So if it’s not Canelo II next, it could be either Cotto in the US or Saunders, maybe in the UK. But it’s that massive rematch with Canelo that the fans really want to see. Previous boxing news: Jake LaMotta: Did he have the toughest chin in middleweight history?